To Hunt Unicorns or To Raise Them? That is the Question. Ah, the Unicorn. The mythical steed with one proud-and-pointy-antler-thing spiraling towards the heavens. With this terminology in mind, you may be interested to note that I have encountered a few unicorns in my life. It’s true. Some one that is so special, so perfect for the moment in time, that they become mythological–larger than life. My children have been the benefactors of some real unicorns in education. Teachers that inspire, care, instruct, and guide. I work with colleagues that typify what it means to be “a unicorn” through their grace, intelligence, grit, and know-how. For the past four (almost five) years, I have been toiling in the world as a public school administrator. My stewardship? Special Education, Assessment, Nursing and Section 504 Accommodation Plans. The jury is still out on whether or not I’m very good in this role. I can certainly say that I am no “unicorn” in the realm of public school administration. In an effort to address my shortcomings as an administrator, I’ve had to self-reflect a little bit about how I can better achieve the mission and vision of helping students through their IEPs, their behavior plans, and their general well-being. What I found through my modest self-reflection was that I rely on unicorns to carry out the work. Based on our definition of what unicorns are, that might not seem like such a bad idea, right? Just hunt for unicorns that do good work and watch their mythical wonders follow them. I am sure you can understand, that if we’re sticking to the definition of unicorns listed above, part of the criteria is that they are rare. In fact, if we’re being honest, unicorns are really hard to come by. Yet, for most of my time, I’ve continued to hunt for unicorns. Natural talents that just magnify everything beyond what us mere mortals are capable of. Have I found some? Sure. Guess what I’ve discovered? Finding unicorns is one thing–keeping them around is another thing all together. As it turns out, unicorns want to hang out and do amazing things…with other unicorns. If you don’t supply unicorns with other unicorns to hang out with, the unicorns find new mythological vistas to test their rare abilities. In other words, they move on. So here I am with a dilemma. I love unicorns. I want unicorns. Yet, unicorns are hard to come by, and when you find them, they are hard to keep around. Not because they don’t love what they’re doing–mostly because they want to hang with other unicorns. This scarcity cycle could go on and on, (and in fact, it does). We hunt, we find, they move on, we repeat. So, something occurred to me the other day. What if I stopped spending so much energy in hunting unicorns and started raising them? What if I had my own little unicorn factory? That way, the unicorns would flourish! They would grow together, learn together, and well, stay together. If one unicorn is capable of so much good in the workplace, can you imagine what multiple unicorns could do? So here is my solution and I want to share it all with you. I only know how to raise unicorns in behavior management, mental health, and special education. 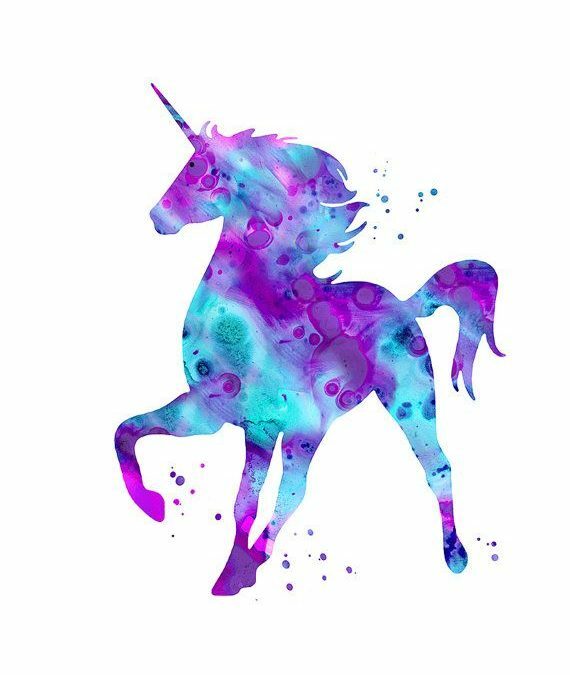 If you, (like me), are seeking unicorns, let’s work to build systematic methods to train our teachers, our counselors, our administration, and paraprofessionals. Let’s raise unicorns. Let’s feed the unicorns and create a culture of unicorns. I wish I could tell you that the training programs we’ve created were for everybody–they’re not. They’re only for future unicorns. ASPEN, Bullyology, Happy Class, IEP Zen, and Chillax are essentially unicorn feed. ASPEN moves beyond the status quo of responding and preventing aggressive student behavior with authentic tools to build relationships and identify a meaningful trajectory for student well-being. Bullyology works behind the scenes to support students by teaching resiliency (the kryptonite to bullying). It also supports building administrators and counselors to create authentic systems of support for students. Finally, it strives for parental involvement and participation. Happy Class provides ready-to-use tools for busy educators tasked with managing a classroom of children. Managing groups of kids in the school setting while attempting to move through a rigorous curriculum is no simple task. Happy Class helps bring some simplicity back into the process. IEP Zen takes IEP procedures to a more meaningful level for students and their families. While compliance to process and procedures are tantamount, IEP meetings really should be student-centered. You would be surprised at how many of us can get lost in the weeds of procedures when really we should be focusing on the best outcomes for a child. Chillax walks teams (K-6) from the initial outburst of a behavior problem all the way through complex coping and social skills. Why stop at addressing behavior when there is so much more to teach with our time with kids? We should all stop hunting unicorns. We should all start raising them. If you want help raise unicorns in the areas of behavior management, mental health, and special education, we’ve got the goods. Incredible staff don’t have to be mythological. They can exist in this world. I’ve seen it with my own eyes. High quality professional development should be designed to raise unicorns–not hunt them. Let us help you raise some unicorns.